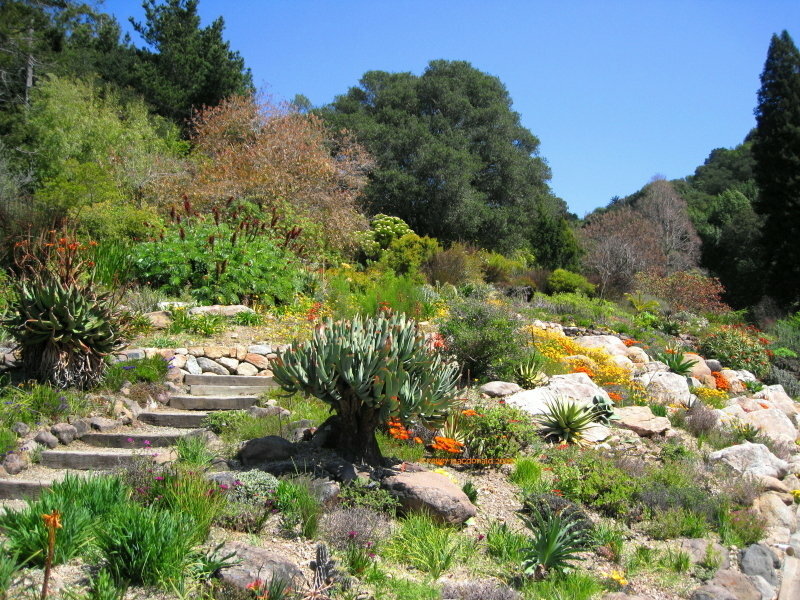 The Ruth Bancroft Garden, Walnut Creek, California October 2003. 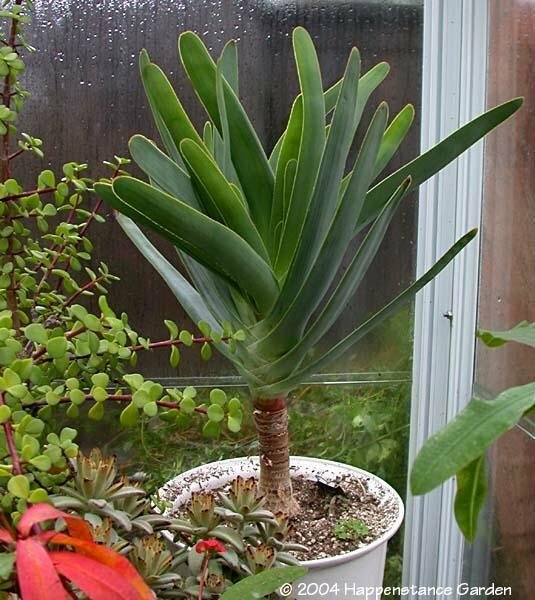 Branching out in the greenhouse, 2/22/04. 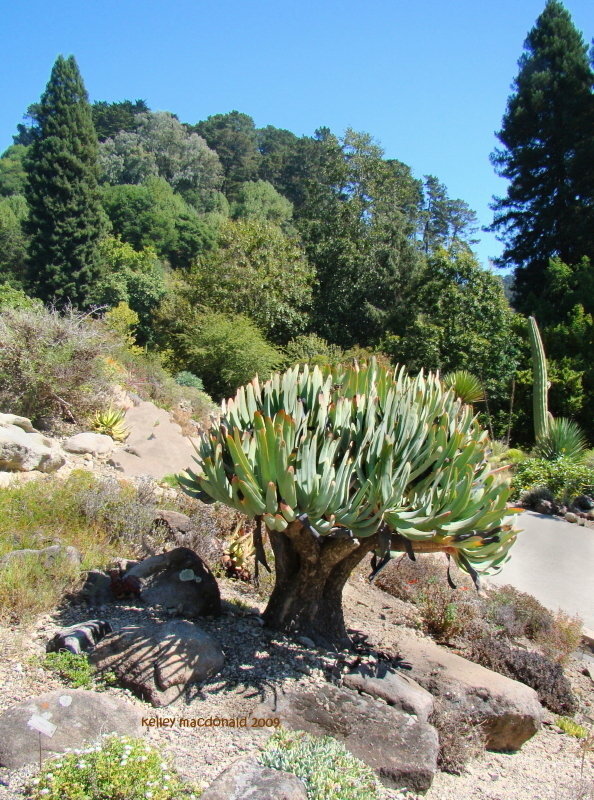 Taken at the University of California Botanical Gardens in Berkeley CA. 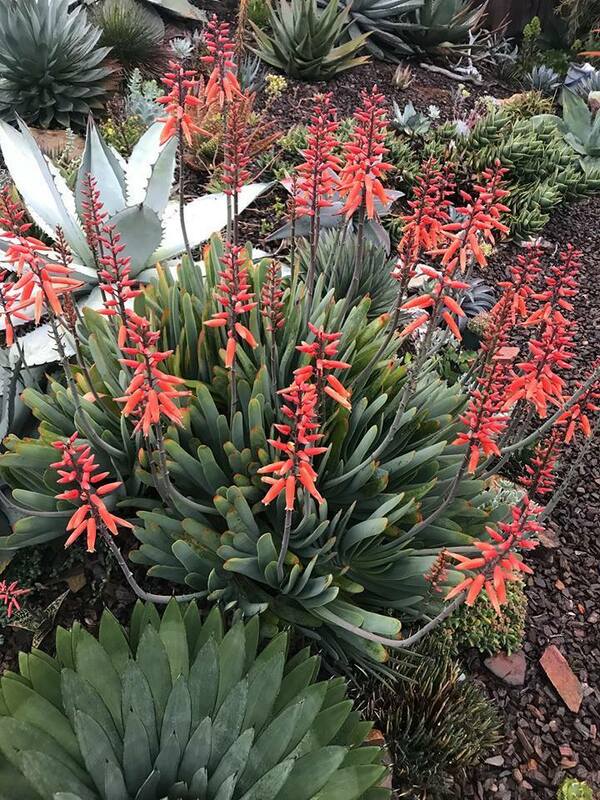 Growing happily in the Berkeley Botanical Gardens. 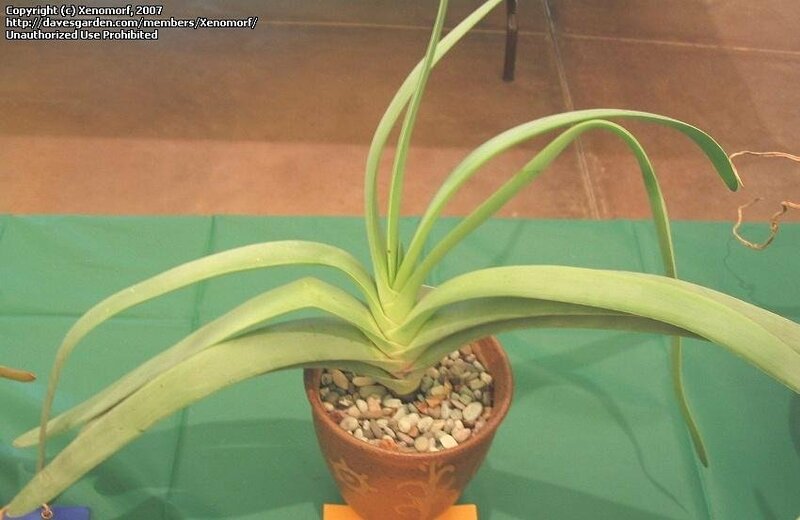 A. plicatilis #1 - same plant as posted 8/28/03. 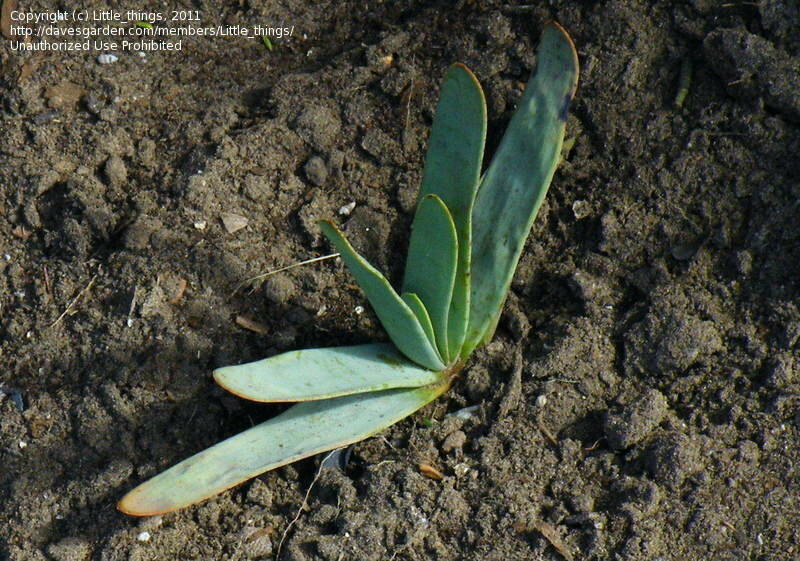 Planted in ground 11/06, frozen black in freeze of 1/07, fully recovered and thriving. 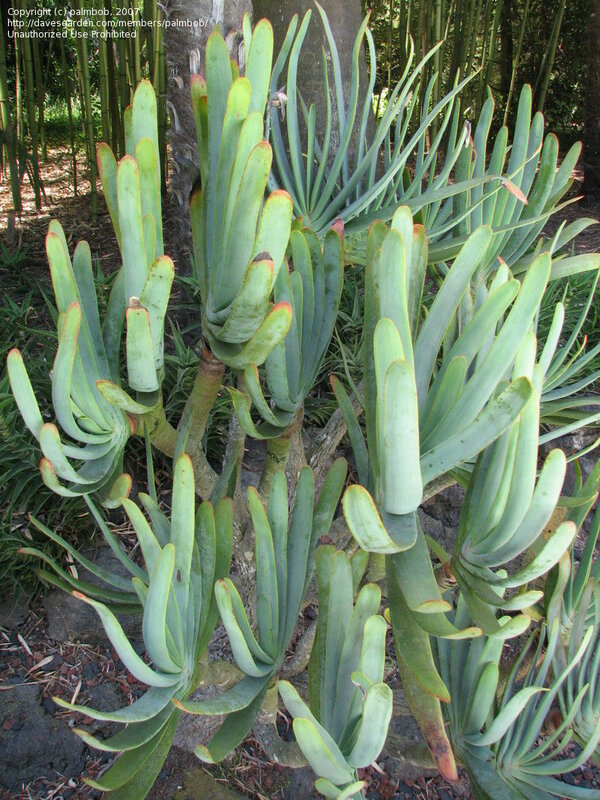 A. plicatilis #2 - Planted in ground 11/06, frozen black in freeze of 1/07, fully recovered and thriving. 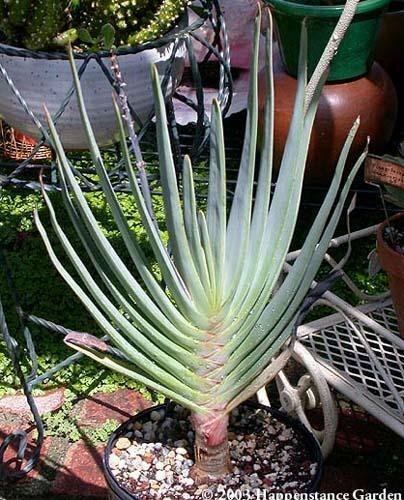 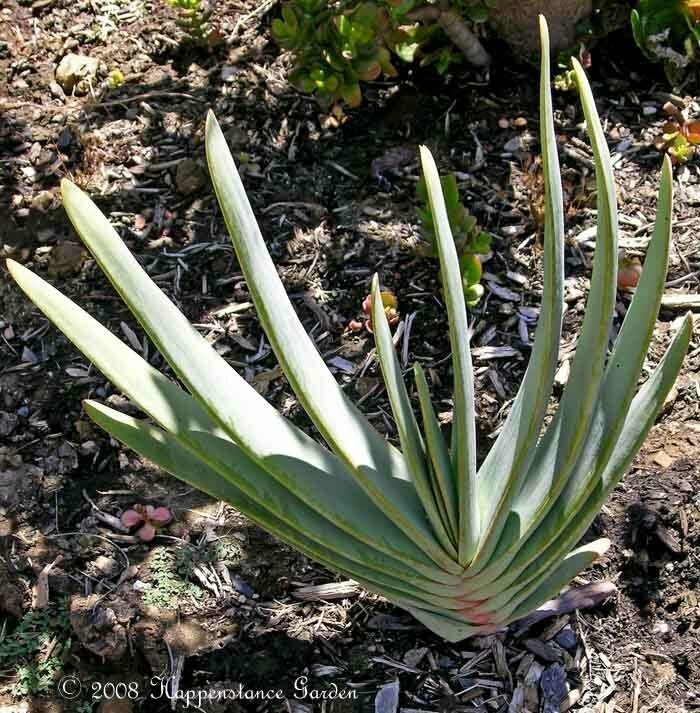 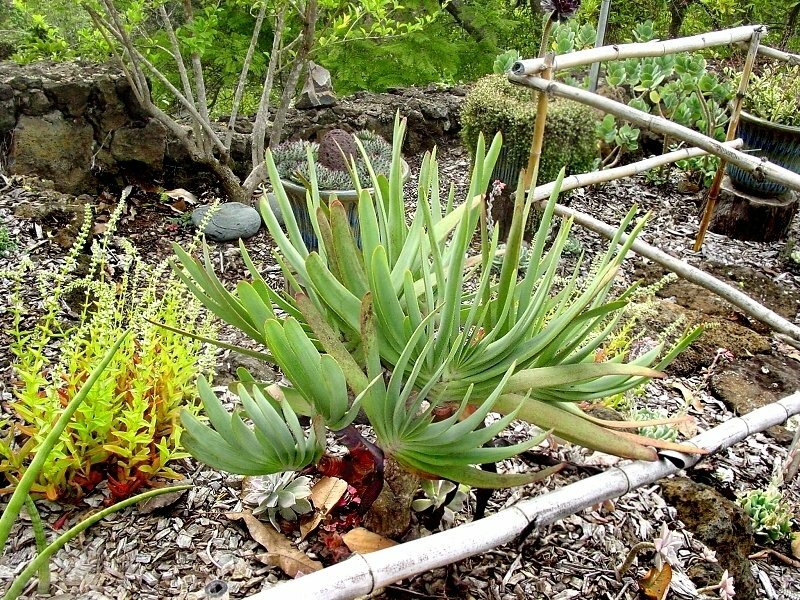 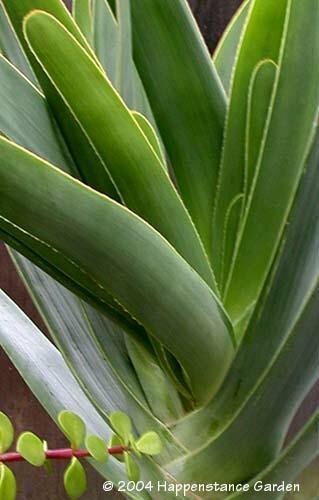 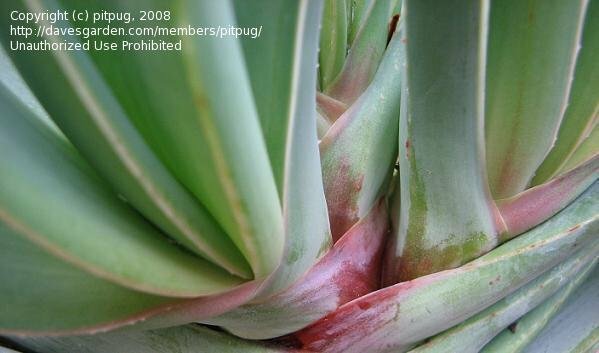 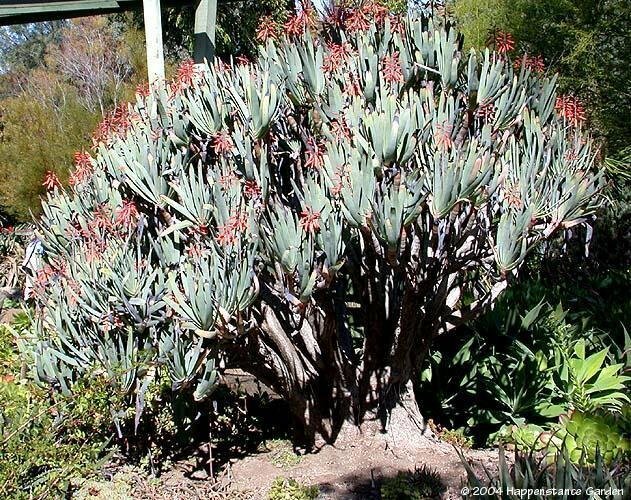 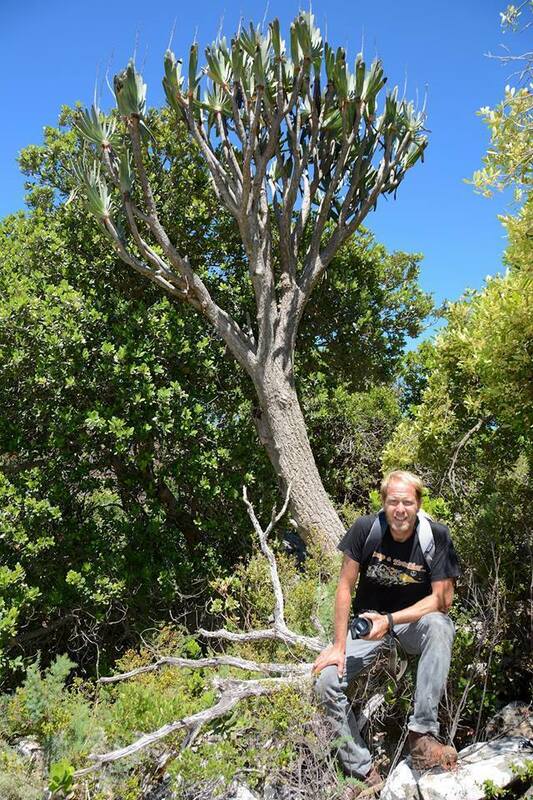 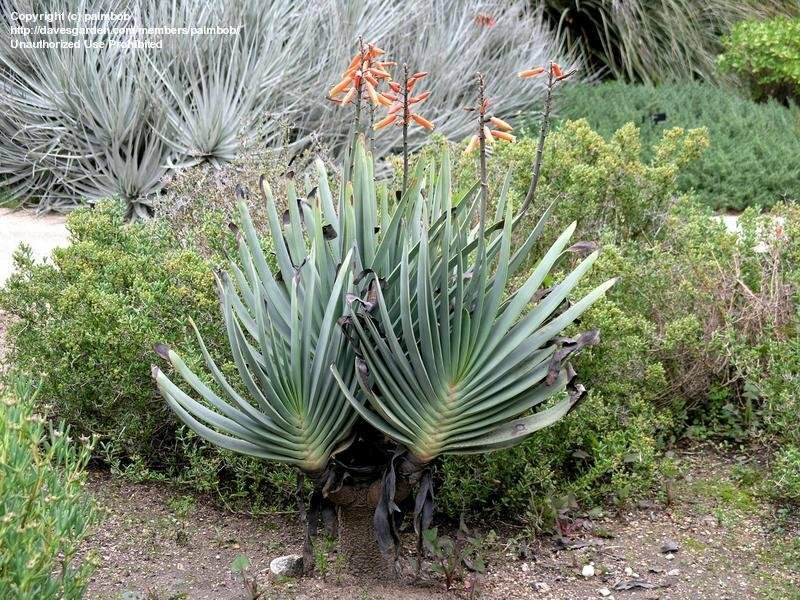 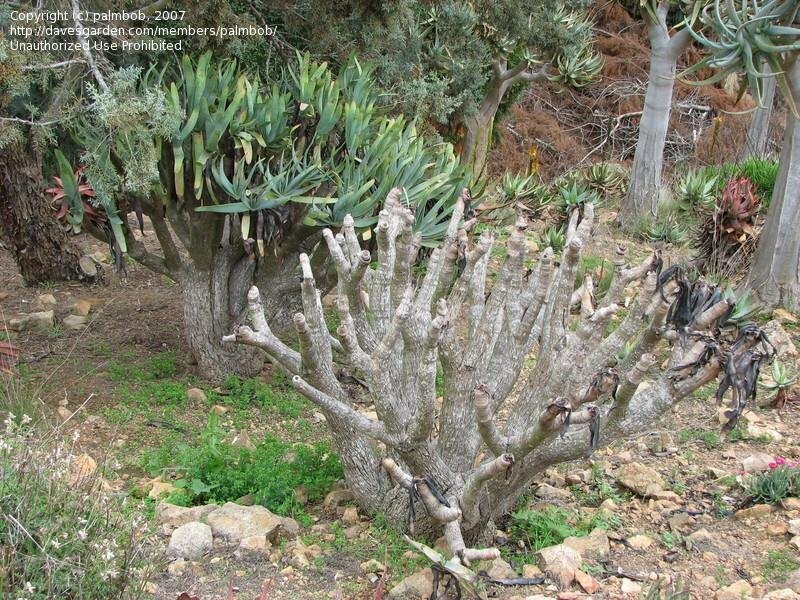 1/2 the size of A. plicatilis #1 when put in the ground, now nearly the same size. 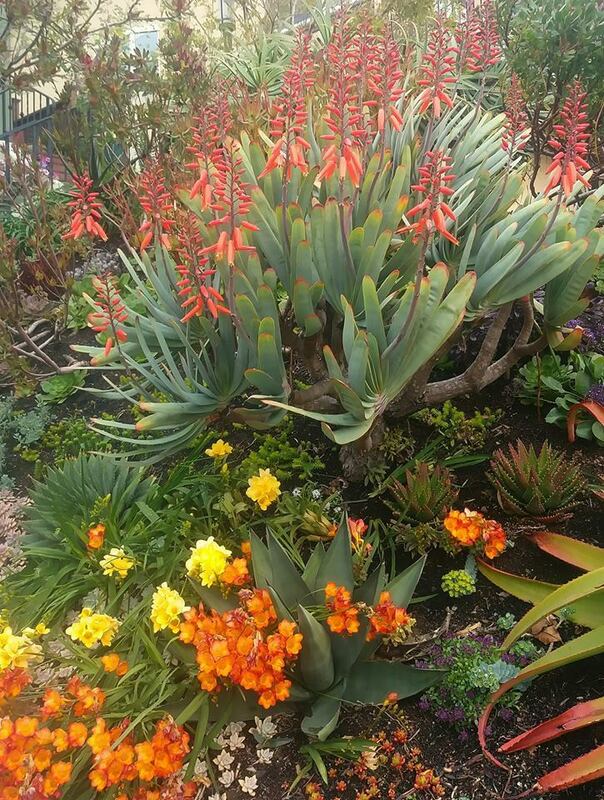 With other winter bloomers,Hayward Ca. 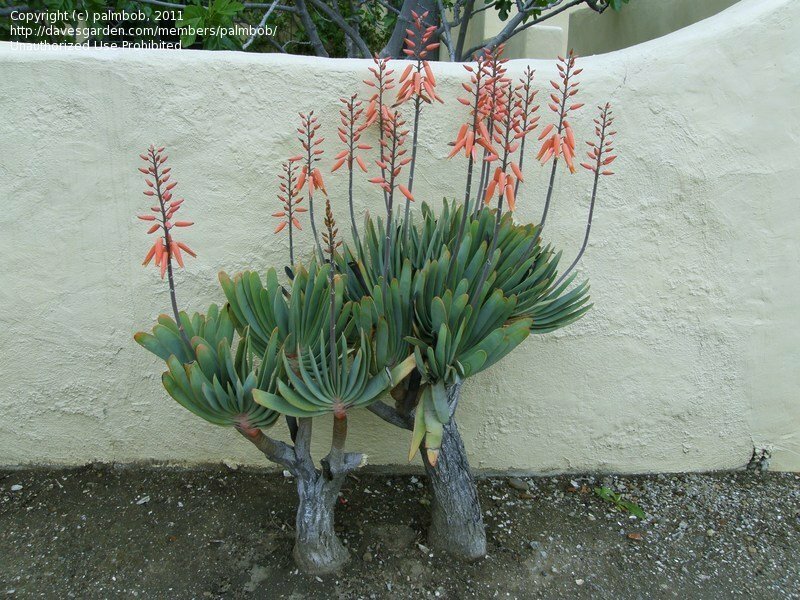 flower stalk that got 'confused' and produced another head of leaves instead... weird. 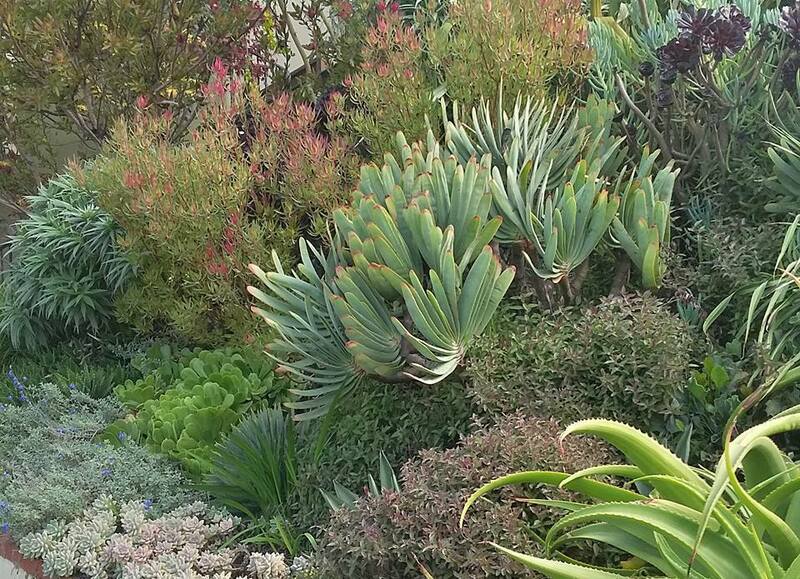 In Inge Hoffmann's great garden. 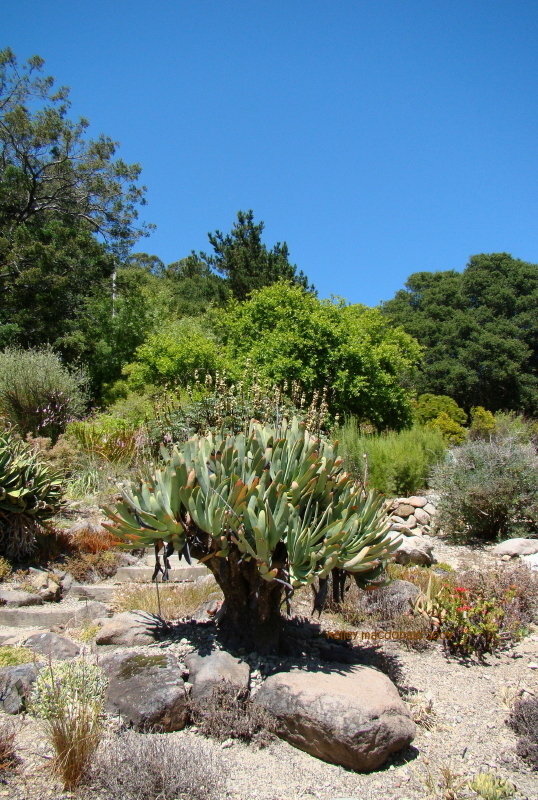 Growing in the UC Berkeley Botanical Garden. 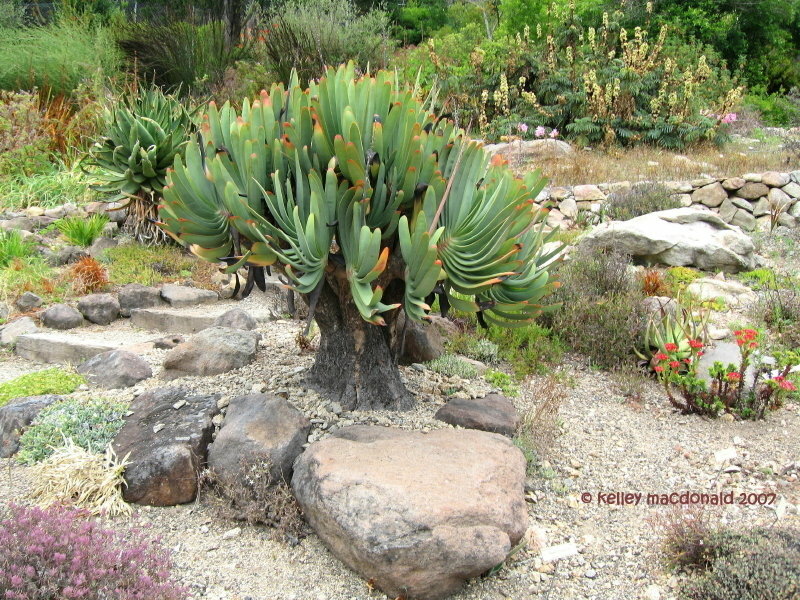 Dominant in a succulent garden at UC Berkeley Botanical Garden. 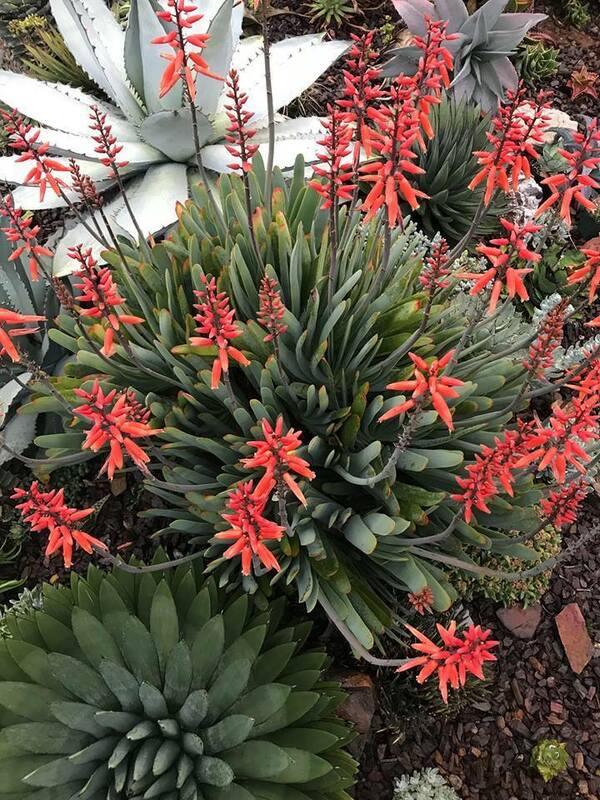 I purchased this blue fan aloe at Al's in Sherwood Oregon to add to my collection. 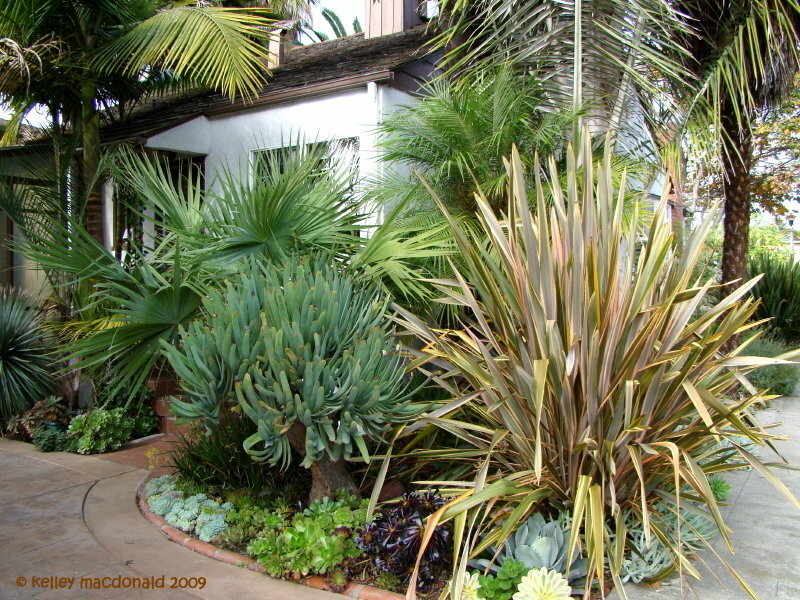 Copyright David Feix Landscape Design in the East Bay and San Francisco Peninsula. 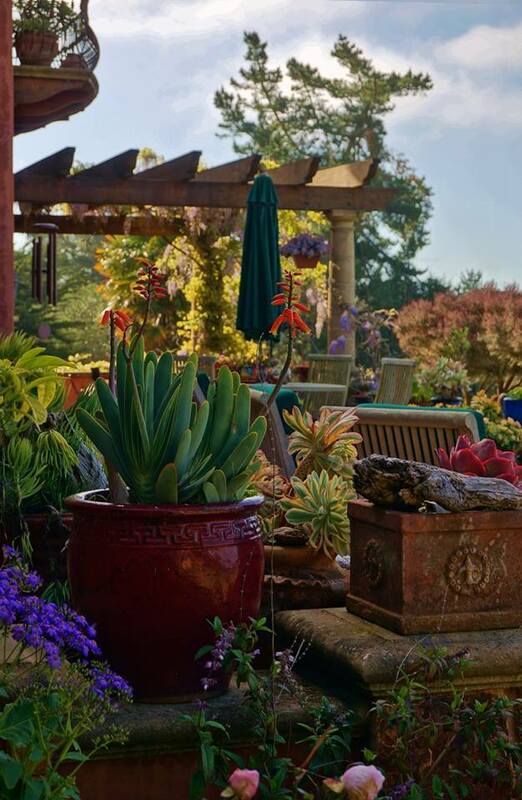 Copyright David Feix, of David Feix Landscape Design in the East Bay and San Francisco Peninsula. 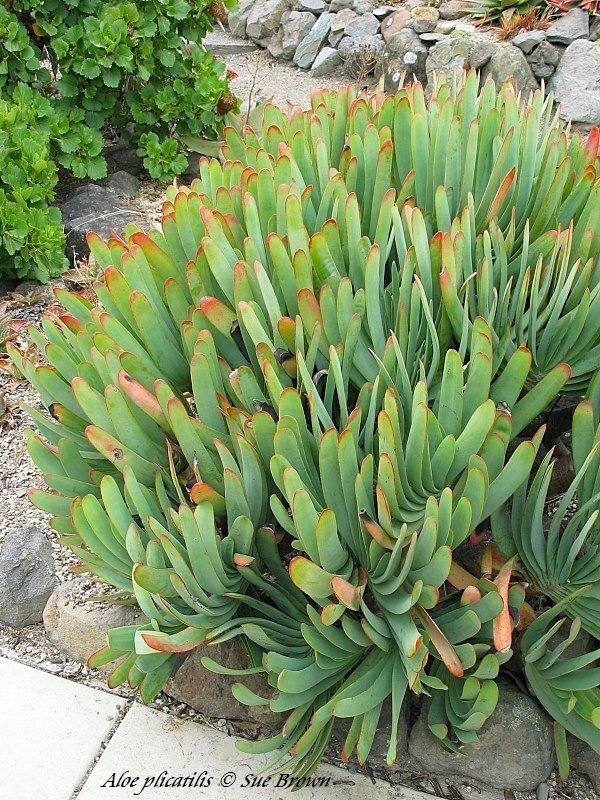 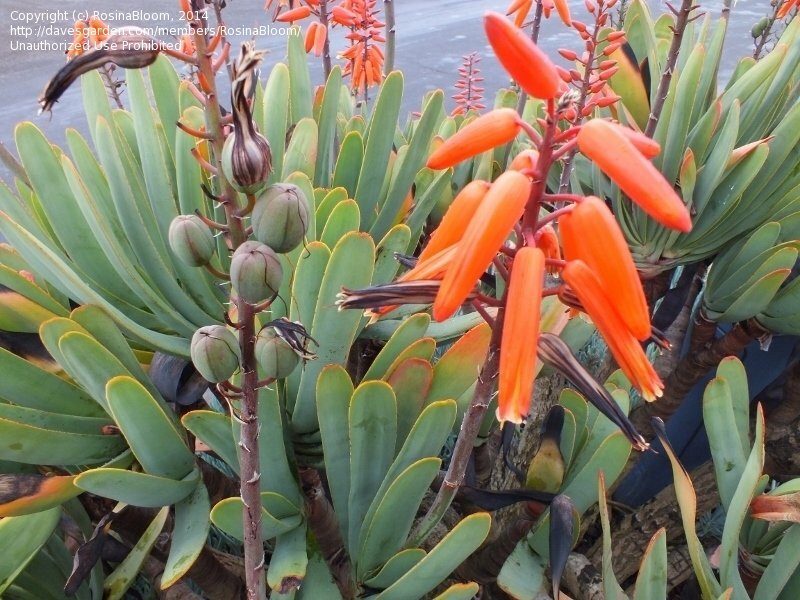 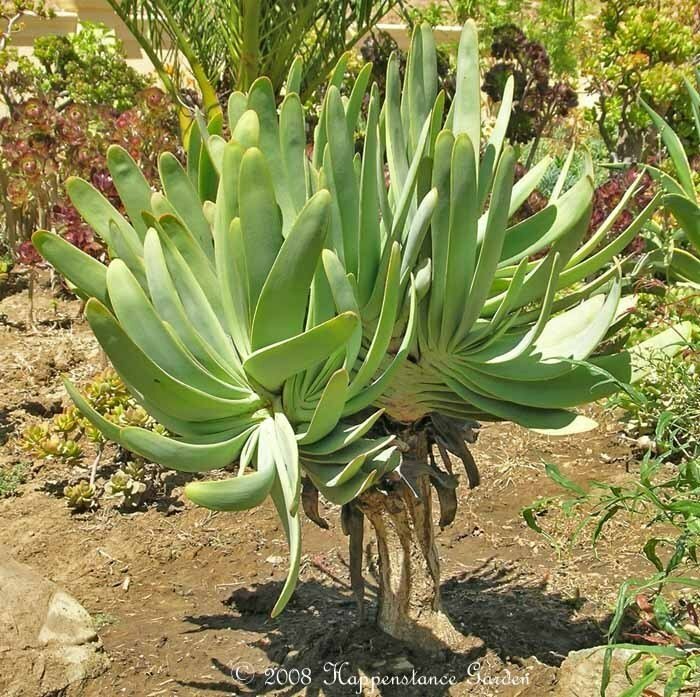 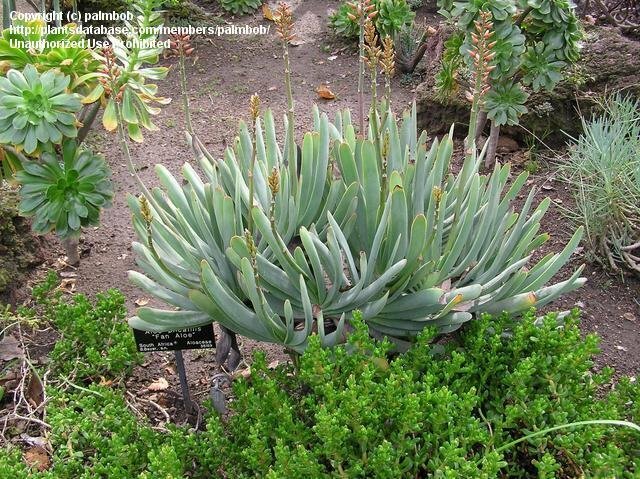 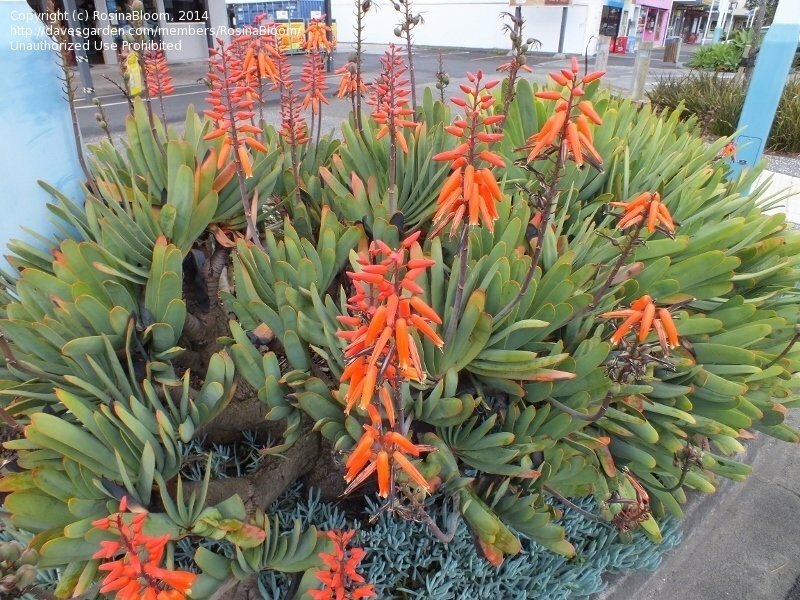 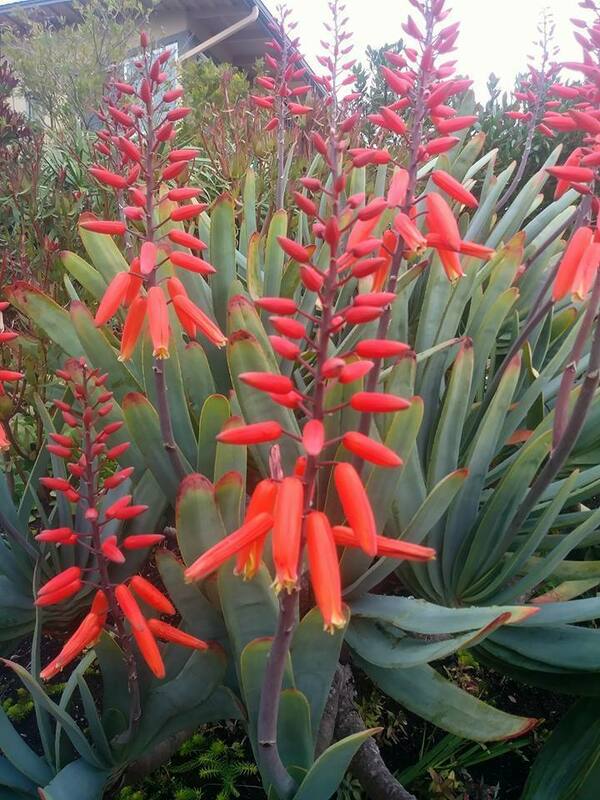 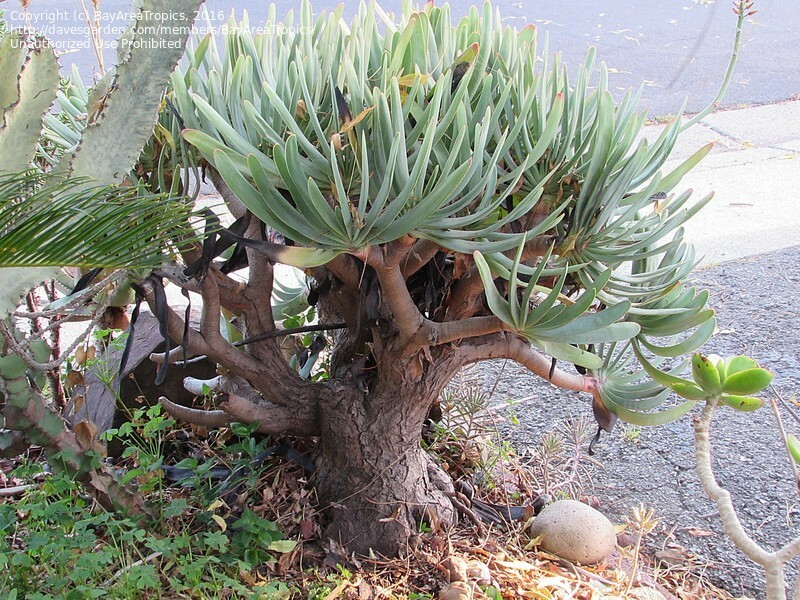 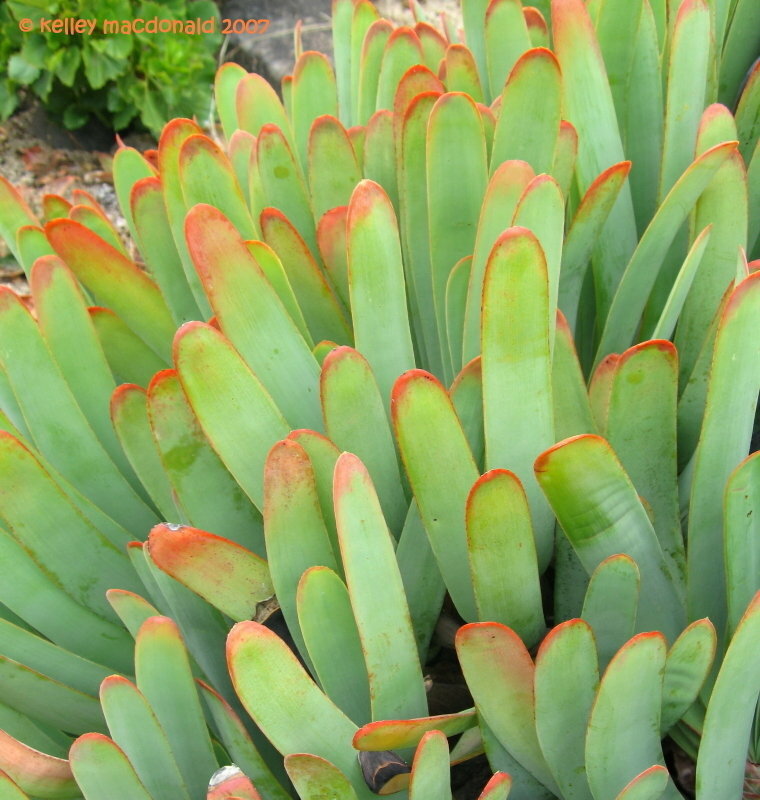 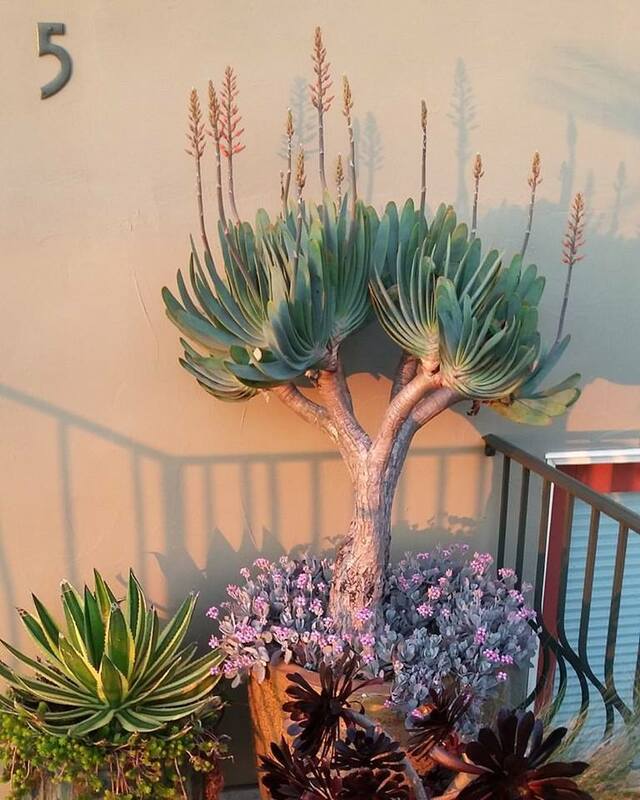 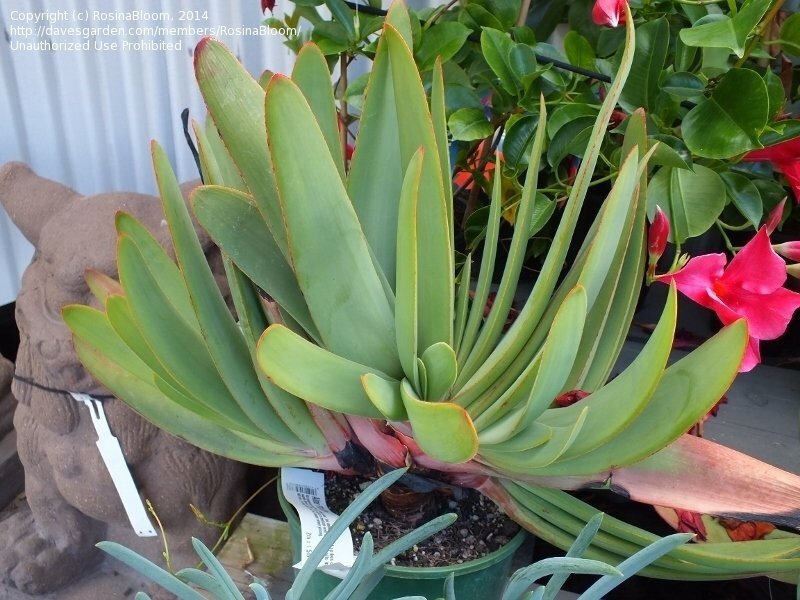 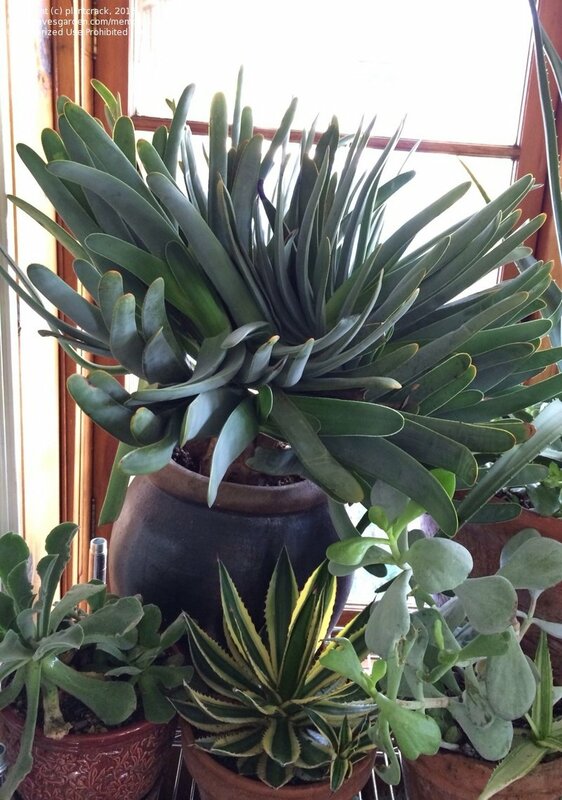 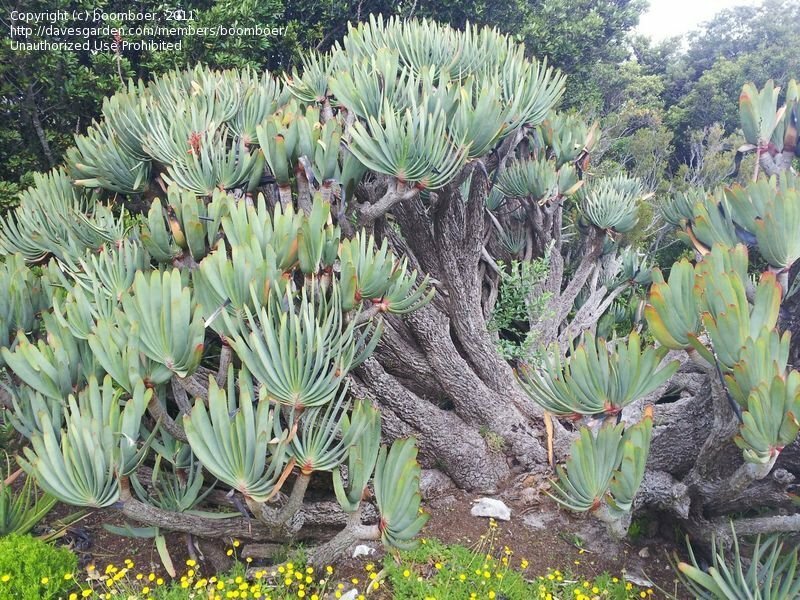 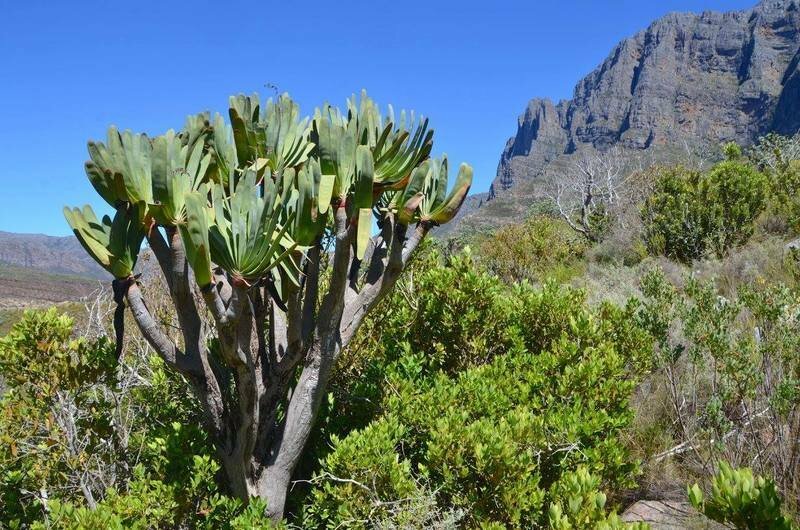 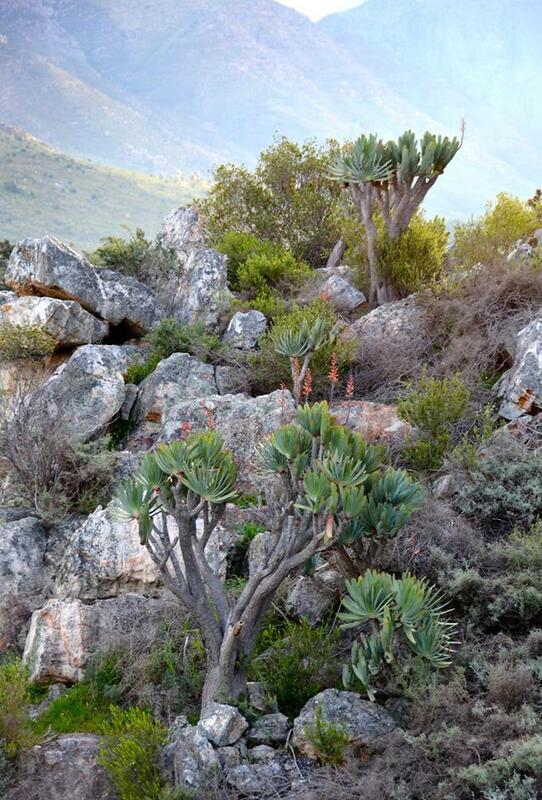 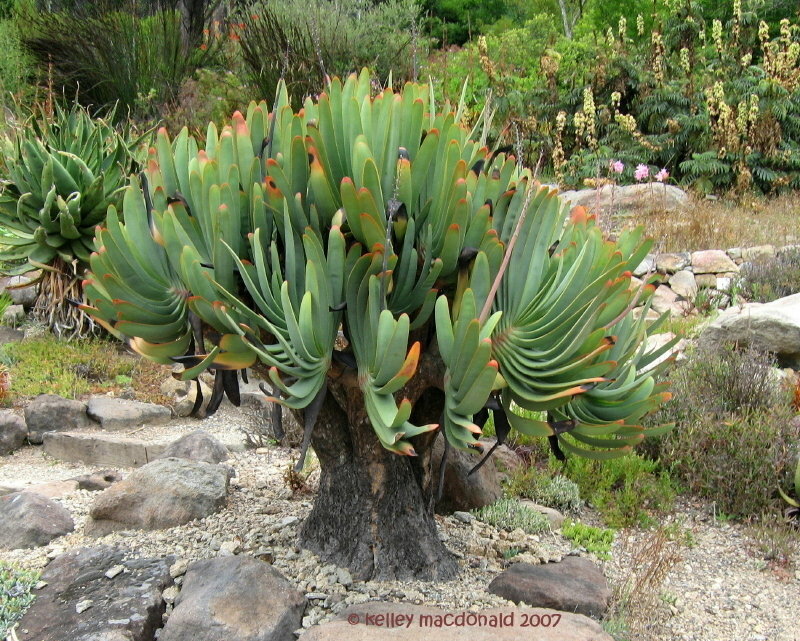 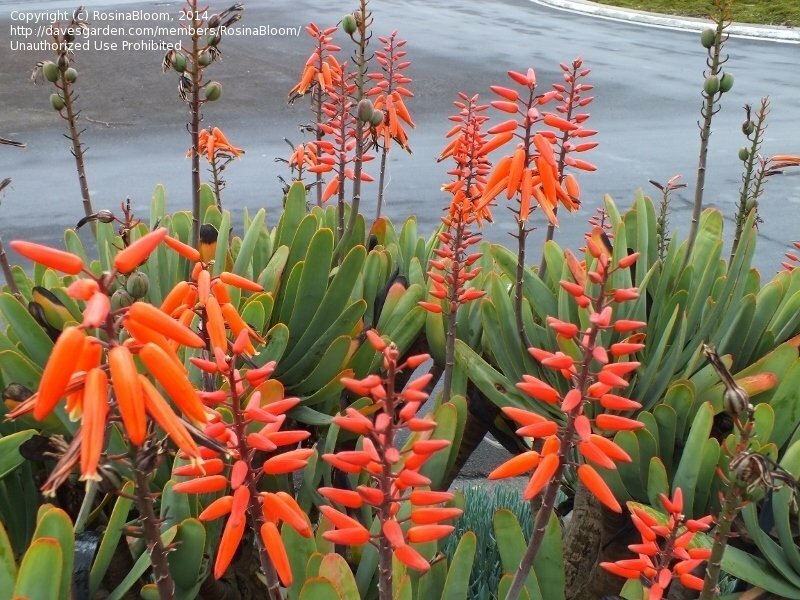 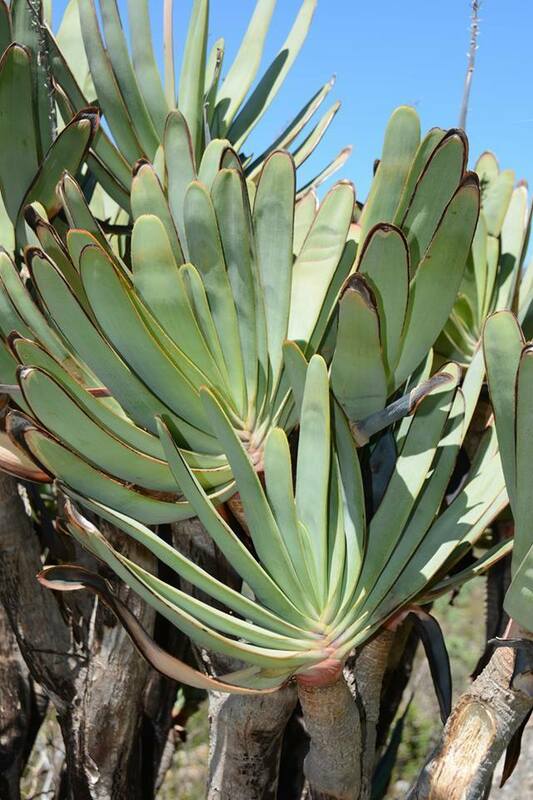 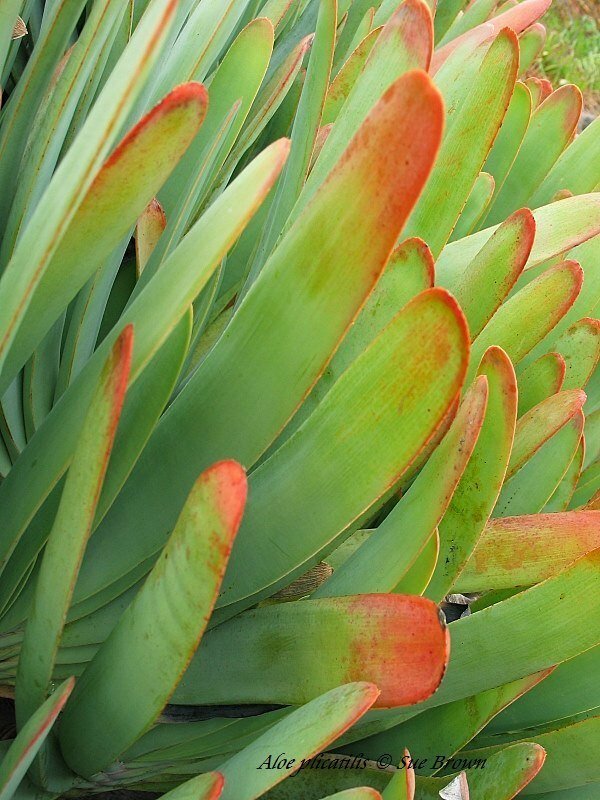 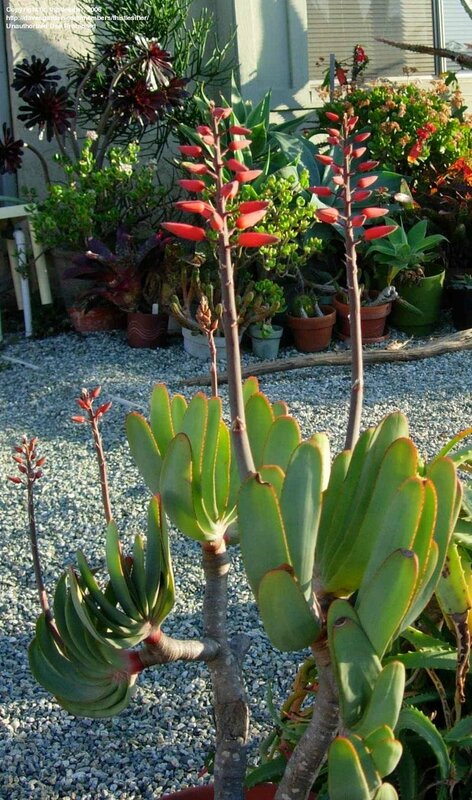 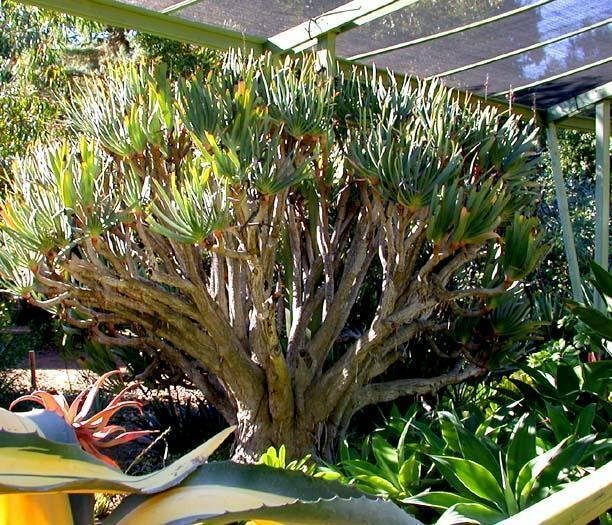 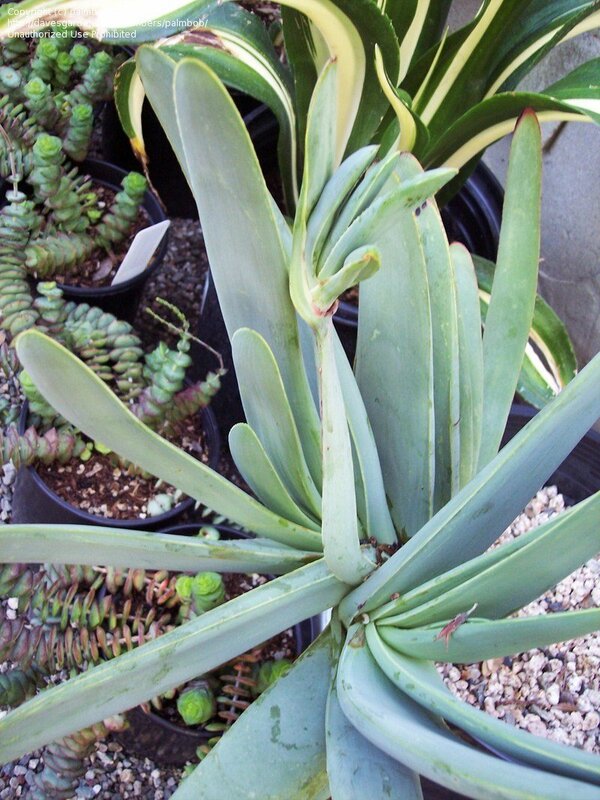 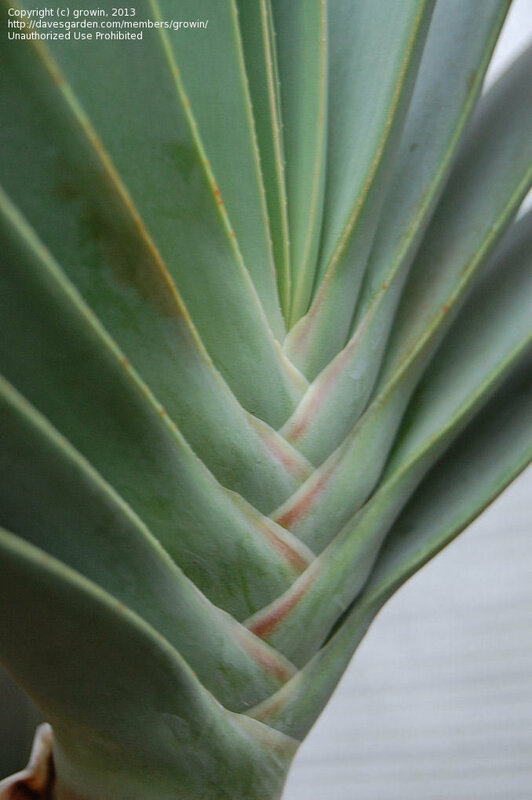 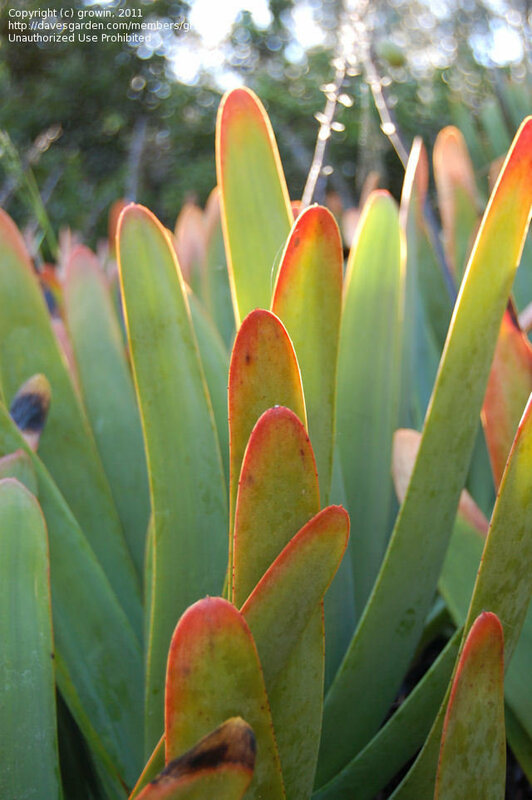 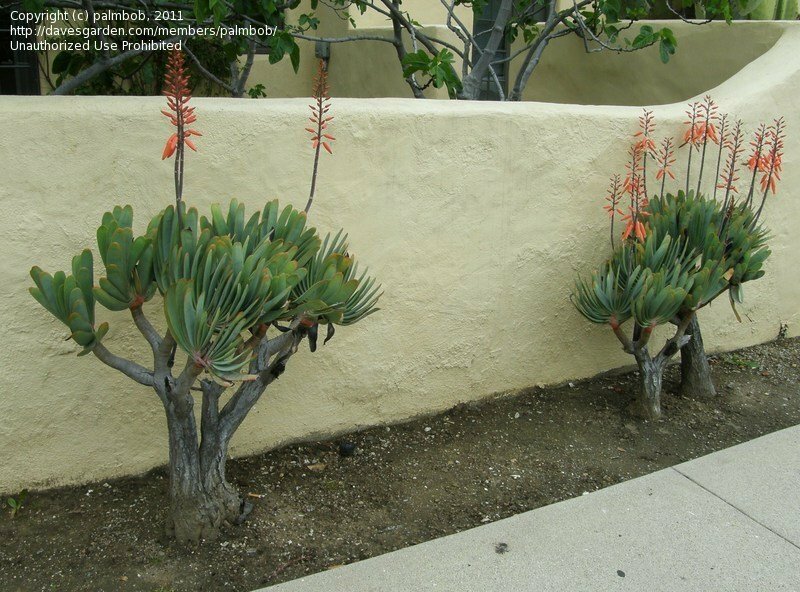 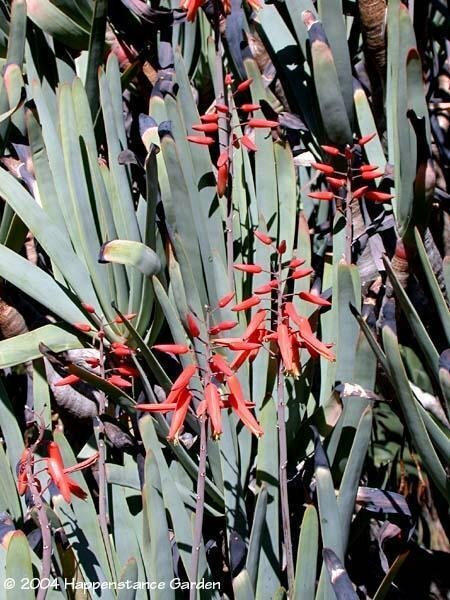 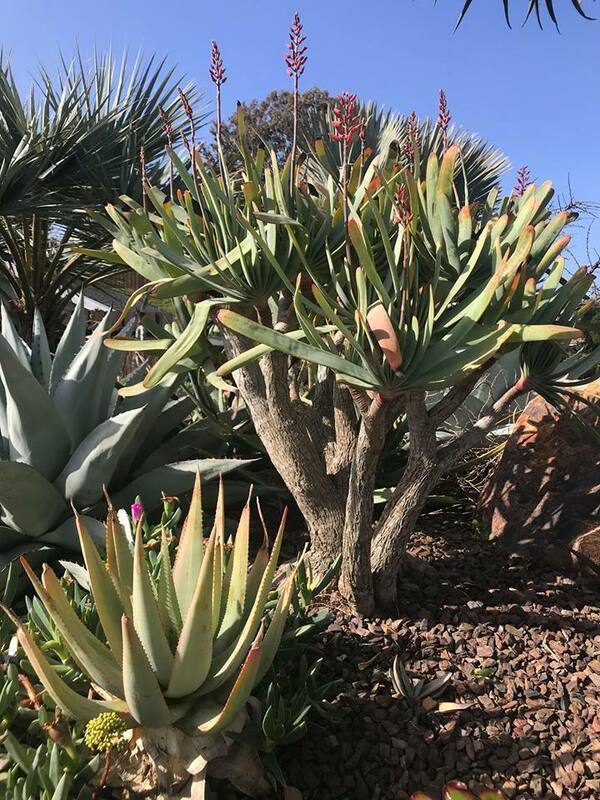 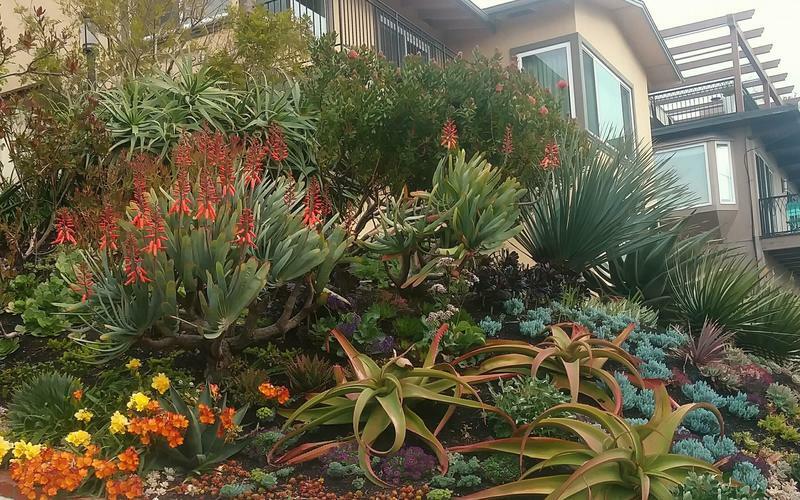 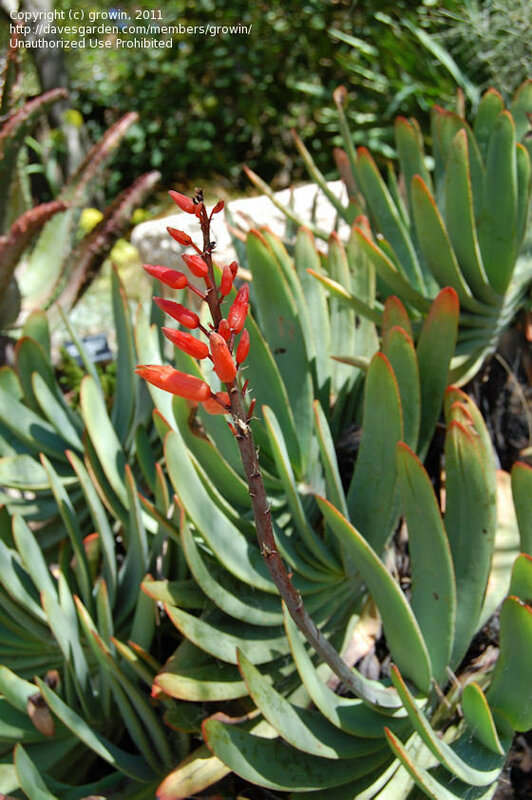 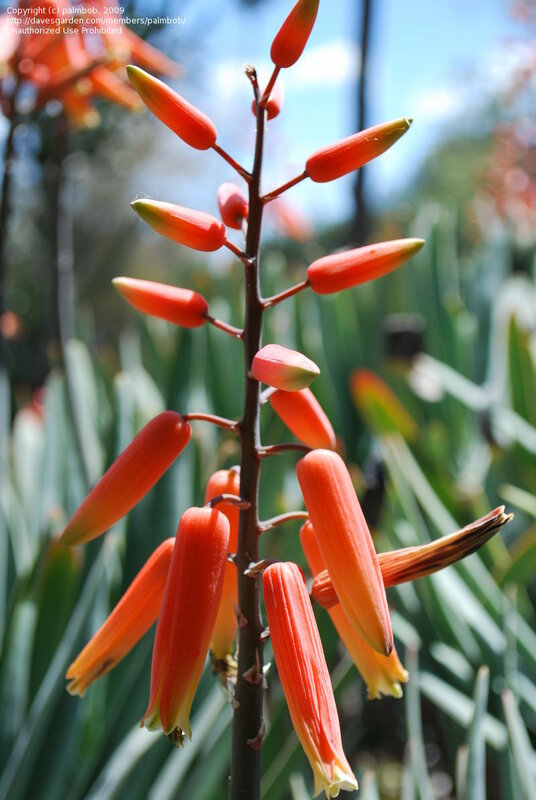 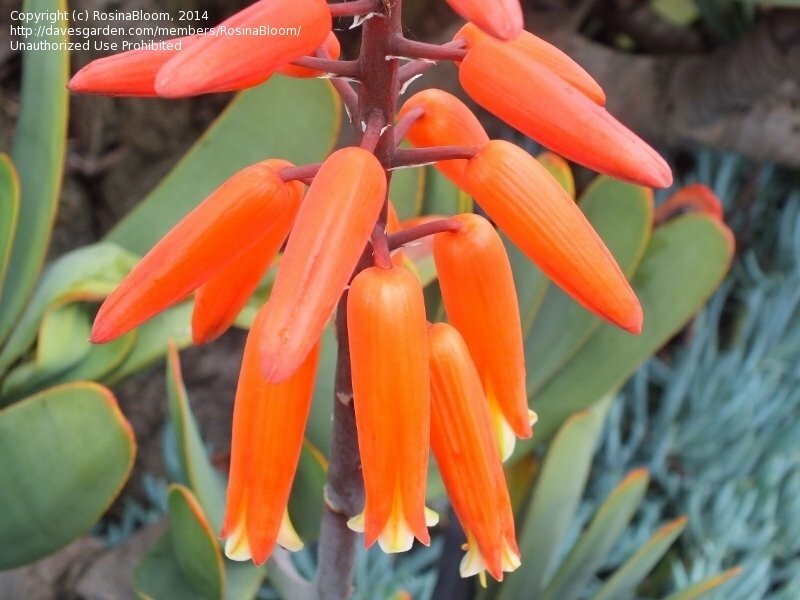 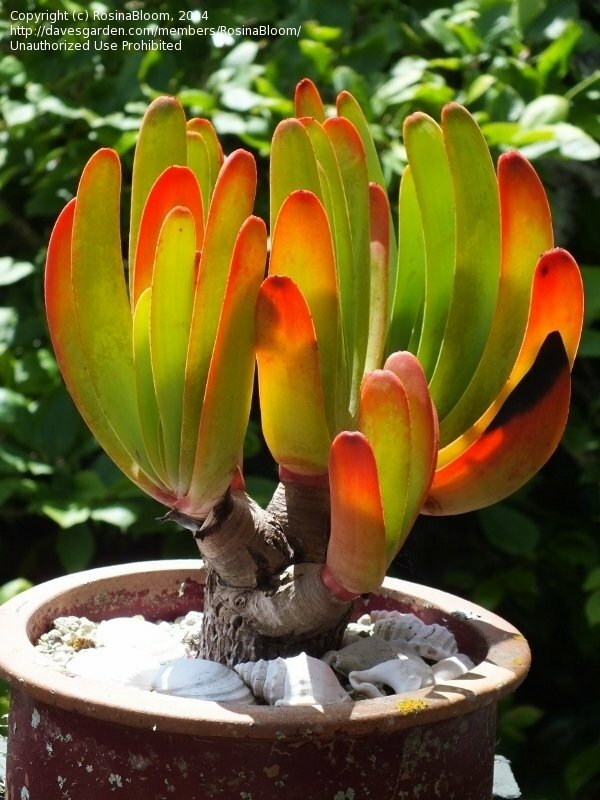 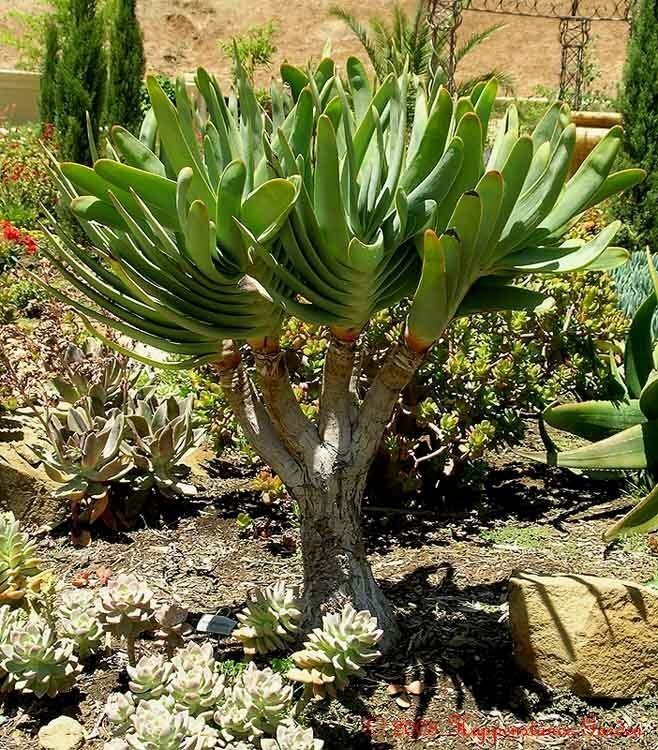 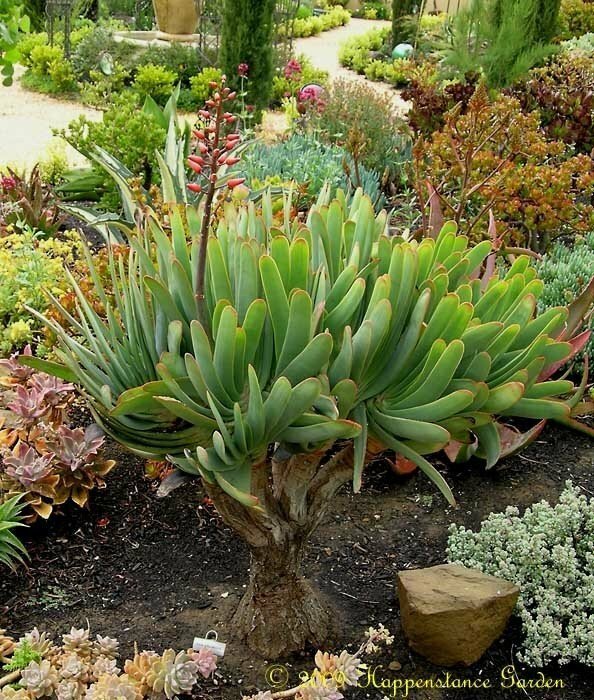 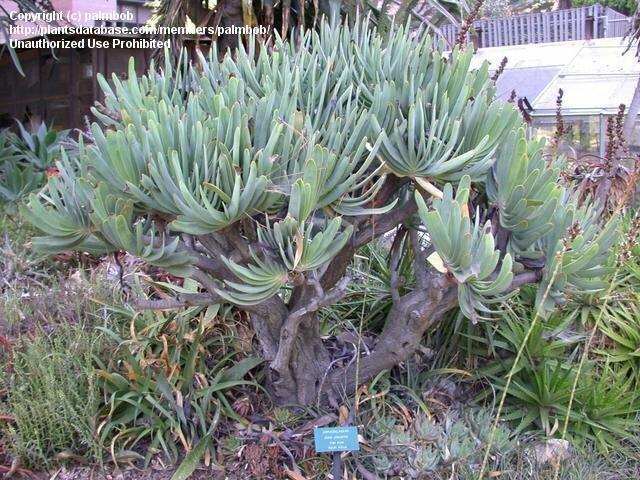 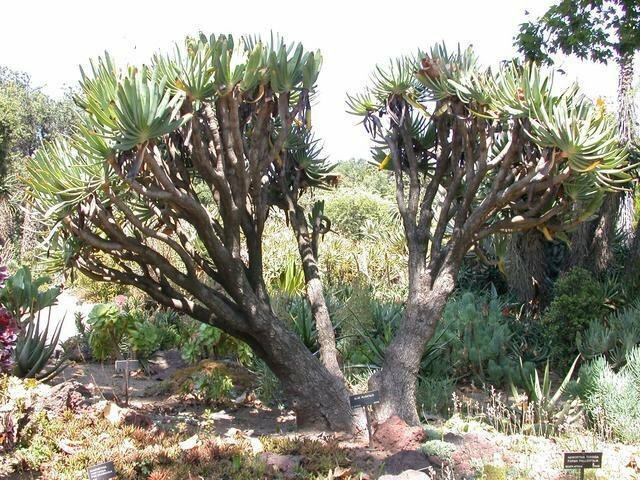 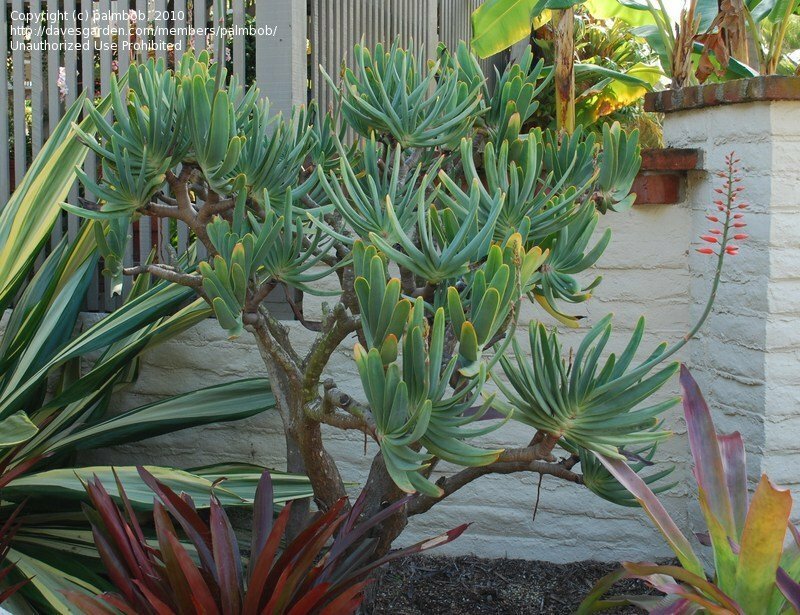 Copyright of Kelly Griffin of San Diego, Ca, the Altman Plants Succulent Plant Development Manager. 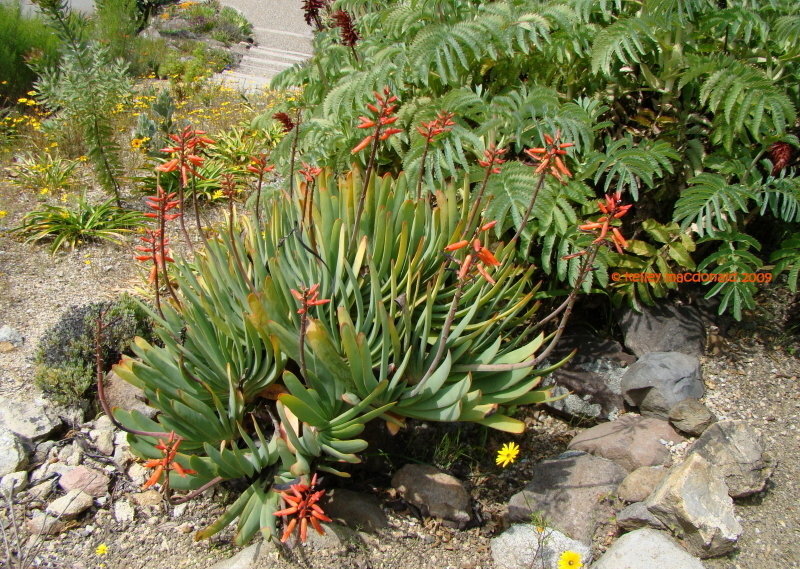 In habitat. 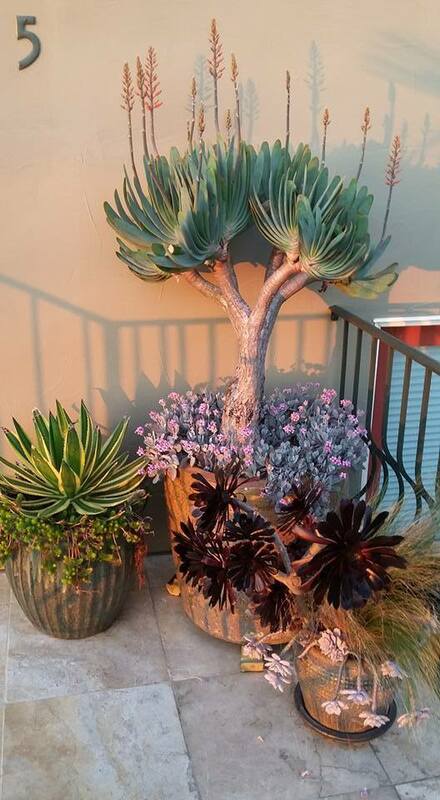 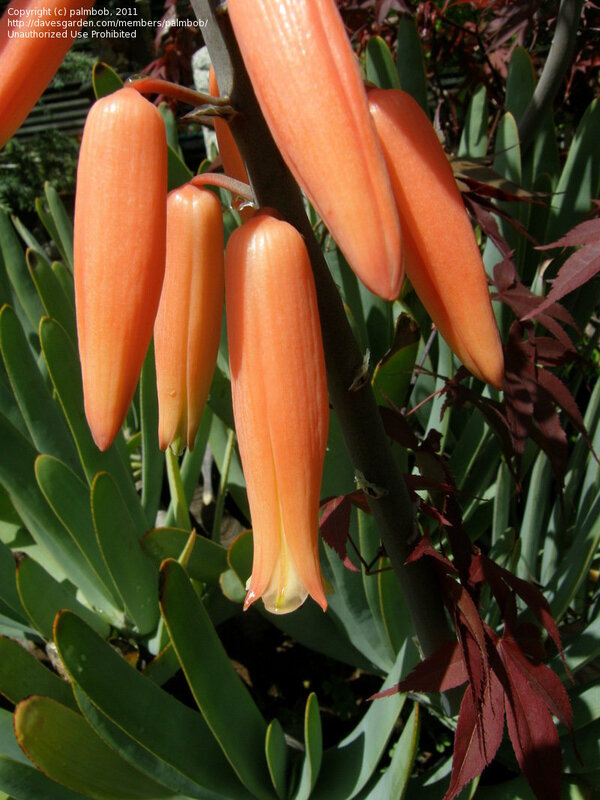 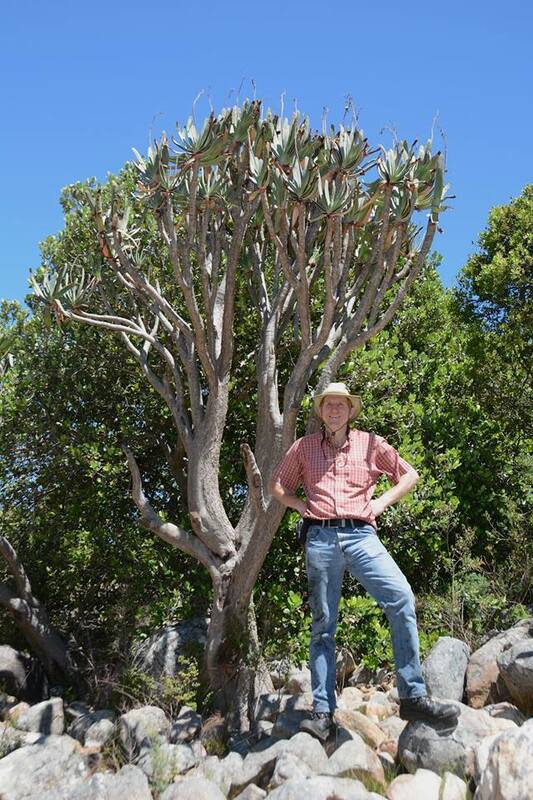 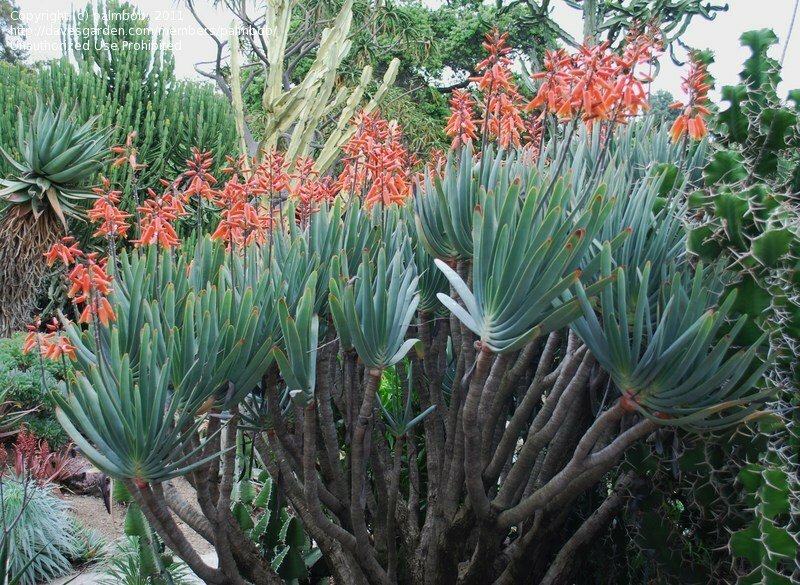 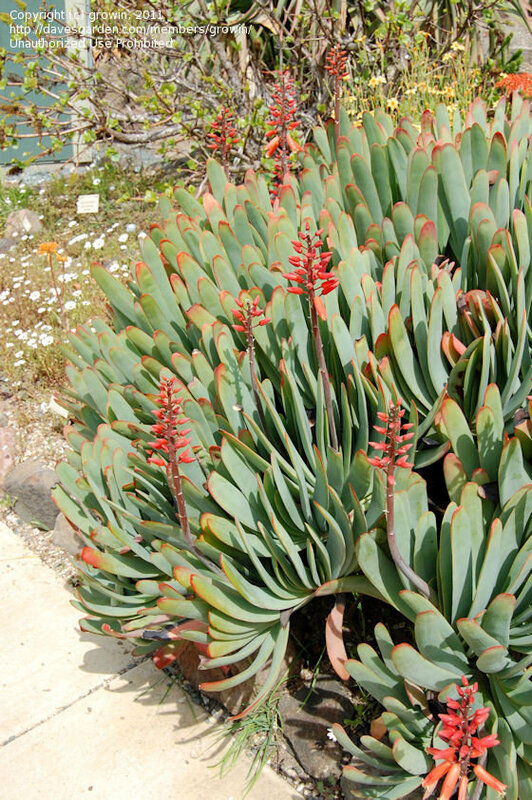 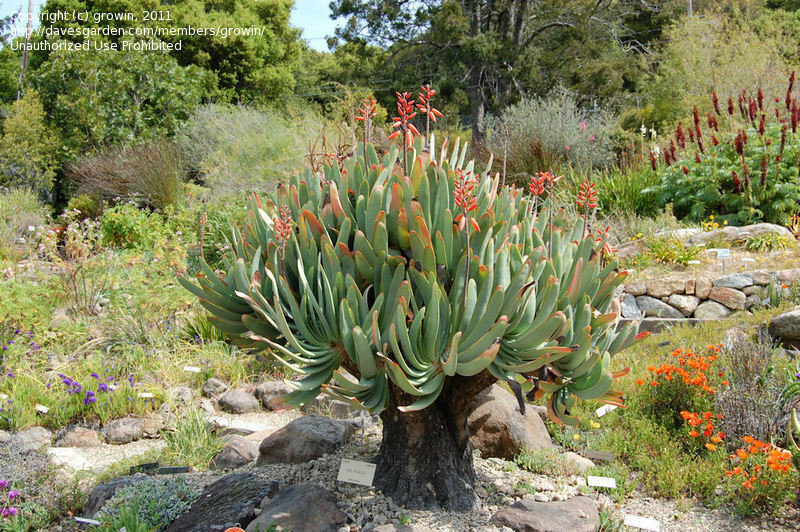 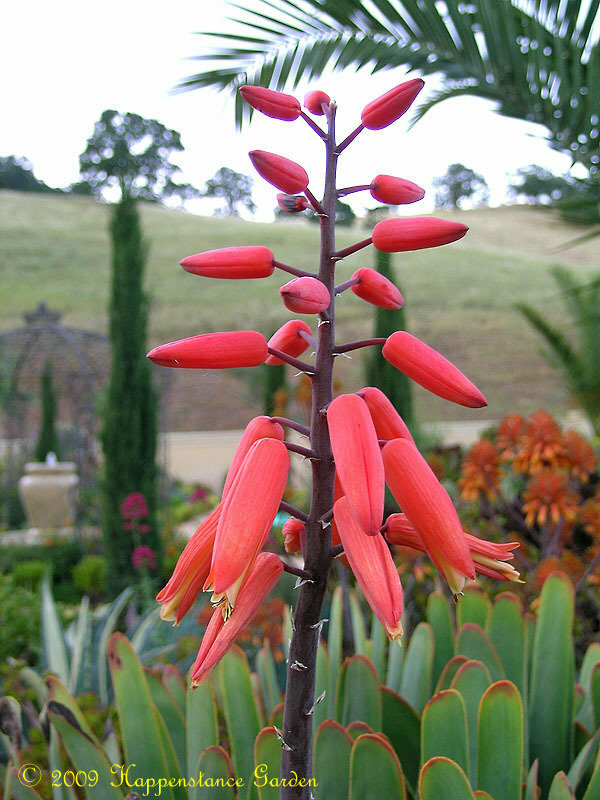 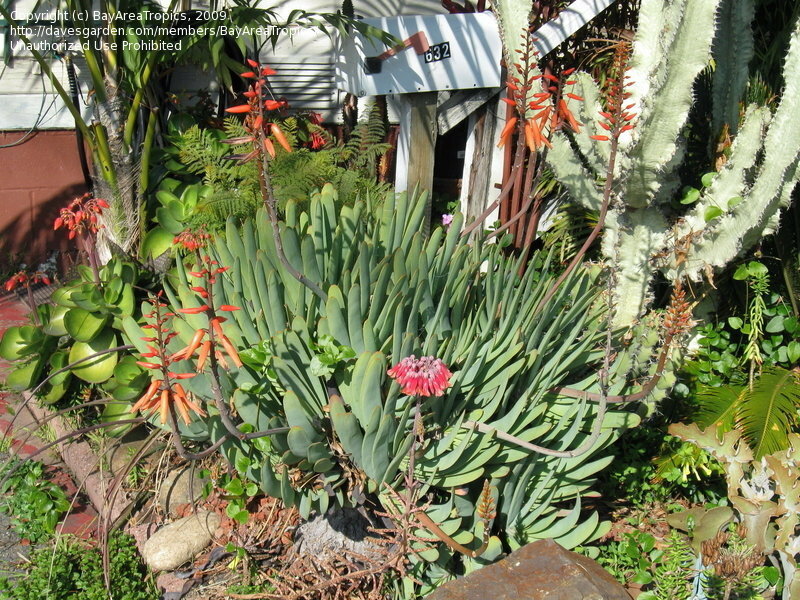 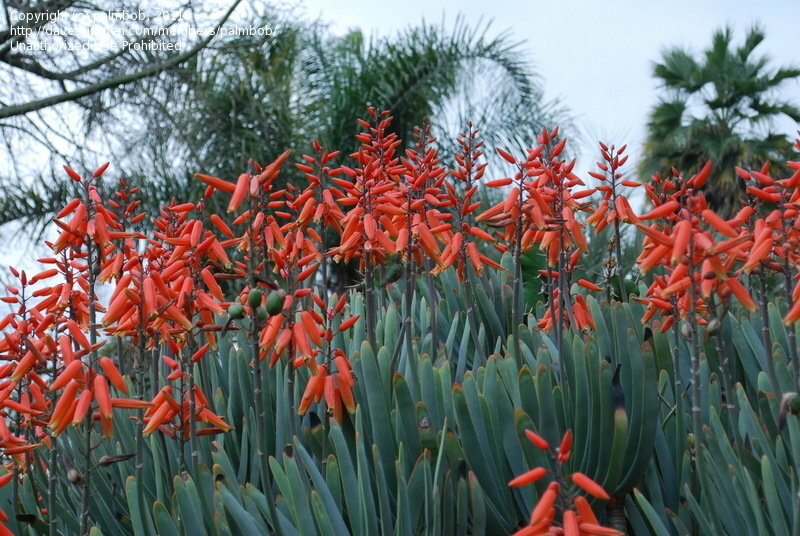 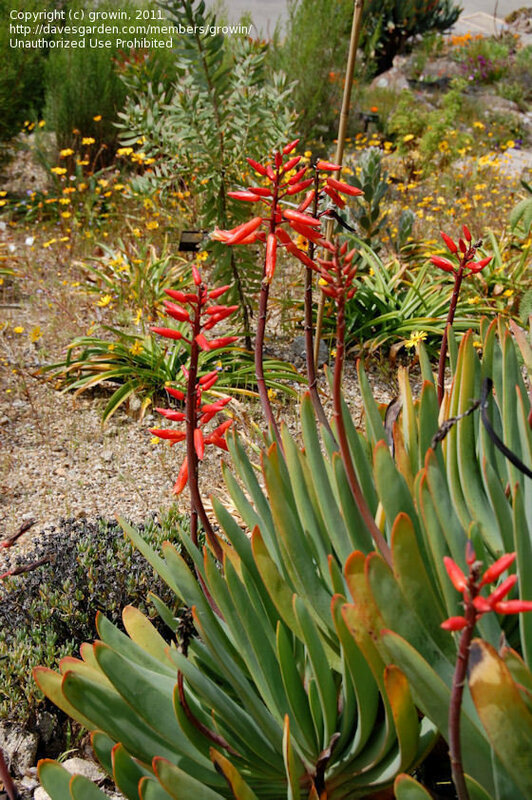 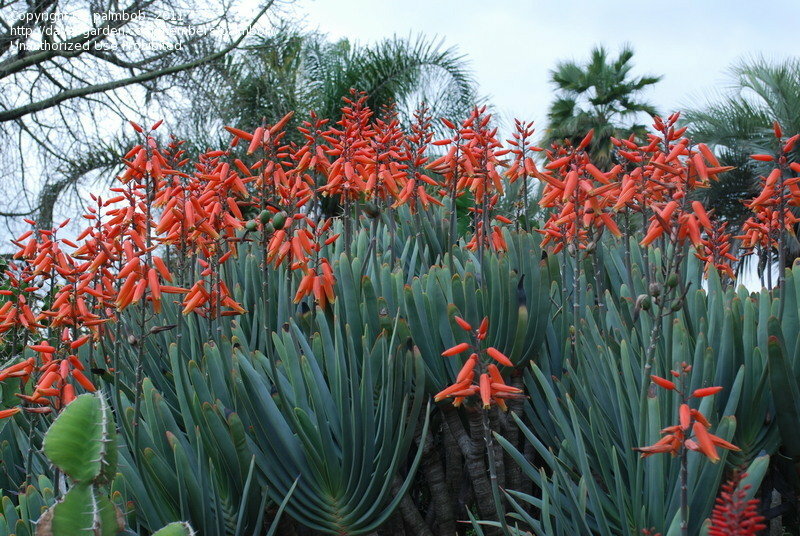 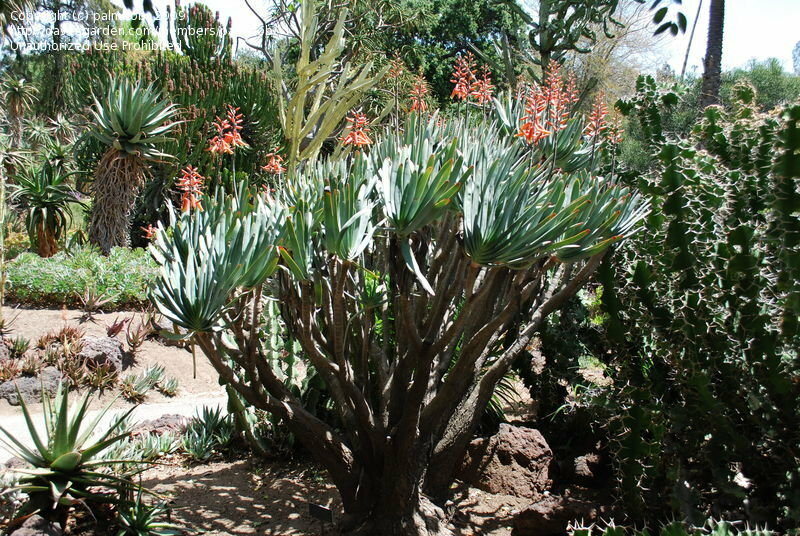 Copyright Kelly Griffin of San Diego, Ca, the Altman Plants Succulent Plant Development Manager.